Travelling is an amazing experience in itself, but for small children it can be an experience that can easily become boring, especially if your destination doesn’t have anything that caters for children to keep them entertained. And when children get bored, you can expect mischief, tantrums, and extremely stressed out parents. To avoid this happening to you, use this useful guide for parents looking to travel with their children so that you can all enjoy your travelling experience to the full. One of the biggest culprits for boring children is the journey to your destination, so make sure that you’re prepared in the entertainment department if you’re on a long haul flight or drive to your destination. Things like colouring books, tablets, mp3 players, car games, and topics of conversation should all be ready packed so that you don’t find yourself with a child having a meltdown because they are bored of travelling. One great way of keeping your children entertained is by giving them a camera each and giving them the challenge of capturing the best photos they can on the journey. If you know that you’re going to be travelling past landmarks or anything particularly interesting, this could be made into a game for them to look out for these things and take a photo of it. While you and your partner likely have the perfect destination in mind, you will need to consider where you’re going to be taking your family this year. This includes researching what the area can offer for children to do, as well as finding out what you will enjoy as an adult too. A great all round holiday to go for is skiing. You’ve probably heard about the Switzerland school trips that schools offer for students, so why not do the same sort of thing for your family? Not only will it be an exhilarating experience, but it can also be made educational too without your children even realising it! Take a look at the link above to find out more information! There will probably be times where you and your partner have arranged to do some sightseeing with your children, and this could lead to the same sort of tantrums that a long time travelling could cause. This poses the perfect opportunity to turn sightseeing into fun by using apps on your phone which will not only keep them entertained, but possibly teach them things about their location. One of the best apps to download wherever you are in the world is Pokemon Go. If your child is already a fan it will give them a chance to capture Pokemons that they wouldn’t have been able to at home, all while you can enjoy the experience that you came here for. 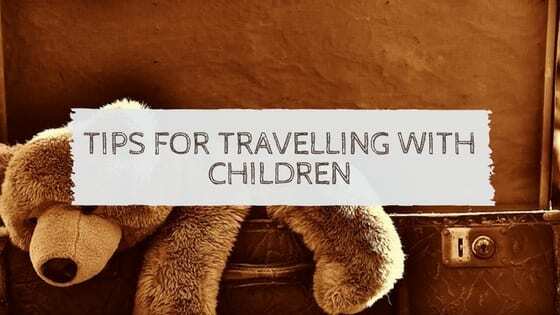 Take these tips on board while travelling with children so that everyone involved can enjoy the whole experience. Remember that being prepared with entertainment at all times is key to ensuring that your vacation is going to be as relaxing as you imagined it to be. They’re great tips. We’ve been so lucky that our son is a chilled travelling companion. He’s done long haul flights with just a tablet and colouring books for entertainment and has done 2 13-hour car trips with nothing but the scenery out the door to keep him occupied and it didn’t faze him one bit (aged 3). I just hope he stays this way! It is so much easier when they are younger and it sounds like you have been blessed 🙂 Fingers crossed he will forever be a good traveller! Some fantastic tips ! We’ve been on a few flights with the kids , gotta say they are good on the plane ,it’s just the landing and taking off we have issues with ! Definitely they tend to find that part the toughest!